Trains are high profile targets that will require planning and several sticks of dynamite. 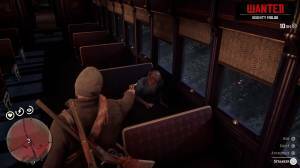 You’ll get the first taste of train robbing as part of the story in the first chapter but doing it solo will be quite challenging. Trains are heavily guarded so expect to deal with the guards as soon as you board it. 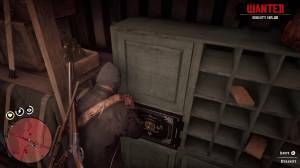 Make sure to save before attempting a train heist since the amount of loot you can collect inside a train will be random; some trains will have at least three safes but it’s possible to board trains with lesser or no safes at all. 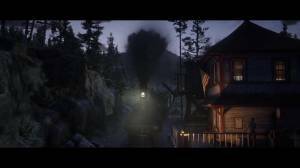 A lot of things can go wrong in a train robbery. Lawmen will respond quickly so even if you take care of the initial responders, more will arrive to stop you. 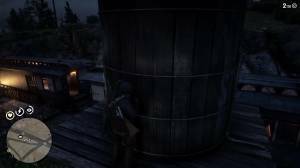 Under this pressure, you won’t be able to focus on looting safes and robber passengers, while also raising your bounty by killing the lawmen. Your loot may not even be enough to pay off the bounty you’ll rack up. Like before, you have to wear a disguise before doing this. 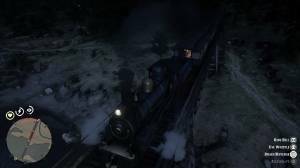 There are two methods of robbing a train: hijacking it while it’s moving (like what you did with your gang in the first chapter) or hopping on a train before it leaves the station. The first method is very straightforward; find /wait for the train, ride hard and jump from your horse to board it. After boarding the train, you have to reach the engine and get rid of the driver. 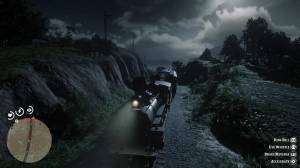 The second method is easier to pull off, as instructed by TagBackTV and will require traveling to a specific location and stopping the train at a very convenient and safe spot. First, make sure you have a change of outfit, mask, several sticks of dynamite, and space to store your loot. (it’s better to clear your valuables inventory by selling them to a fence before performing a robbery). Go to a train station and buy a ticket to Riggs Station. This station is ideal because there’s a nearby water tank that you can climb on and allow you to hop on the train when it starts moving. There’s also almost no other civilians in the area, except for the passengers and the station employee. 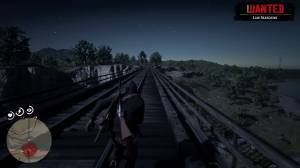 Furthermore, the longest bridge in the region is near the station, making it an ideal place to stop the train and take your time opening containers and robbing passengers while also preventing the responding lawmen from reaching your position. 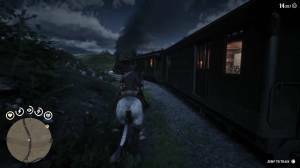 Once you arrive, leave the train and call your horse to change your outfit, equip your weapons, and wear your mask. Climb up the water tower and wait for the train to start moving. Jump on the roof and make your way to the engine and throw the engineer off board. Once you have control of the train, make sure to stop with almost the whole length of the train right in the middle of the bridge. Stop the train and get rid of the guards or any hostile passengers. You can now take your time searching every nook and cranny, robbing each passenger, and blowing up safes in various passenger cars with dynamites. The responding lawmen won’t be able to ride their horses on the bridge and will just simply stay under the bridge. Since they’re not in your way, you don’t have to kill them (which will not increase your bounty). Press and hold the R2 button to stick the dynamite on a surface, like the safe door then press Triangle to ignite it. Just get out of the way before it explodes! 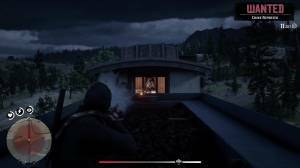 Once you're satisfied with your loot, call your horse and run to the other side of the bridge away from where the lawmen are circling about. If your horse was able to ride along the side of the bridge, then you can just ride away. Otherwise, you’ll have to reach the other end of the bridge and wait for your horse so you can get away quickly. Simply escape the red circle and wait for the Wanted icon to clear up and you’re free to sell your loot. Make sure to change to a different outfit as well.